The Move More Derby Activity Tracker Challenges are designed to support people who live and work in Derby to be active throughout the year. 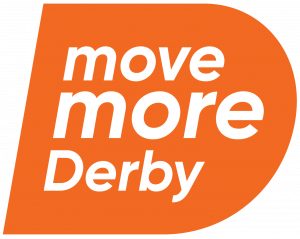 In support of the Move More Derby strategy, the challenges are designed to engage with different priority groups throughout the city including females, young people and people with limiting conditions. Below is a partner resource pack which is available to download to help you promote the challenges throughout your local networks and encourage people of Derby to take part. A social media banner is also available for you to download. Click on the thumbnail below and then right click on the image and select 'save image as' to download it.